The Marshall Home for Men, Inc. is a non-profit, state licensed personal care facility for elderly men with limited means. We pride ourselves on maintaining a safe, home-like atmosphere while providing care and assistance for those who need extra help. The Marshall Home was founded in 1931 as a safe haven for men who were struggling to find work during the Depression Era. A rancher, John Ryland, welcomed the men at his ranch with food, shelter and companionship as they sought jobs during the tough economic times. 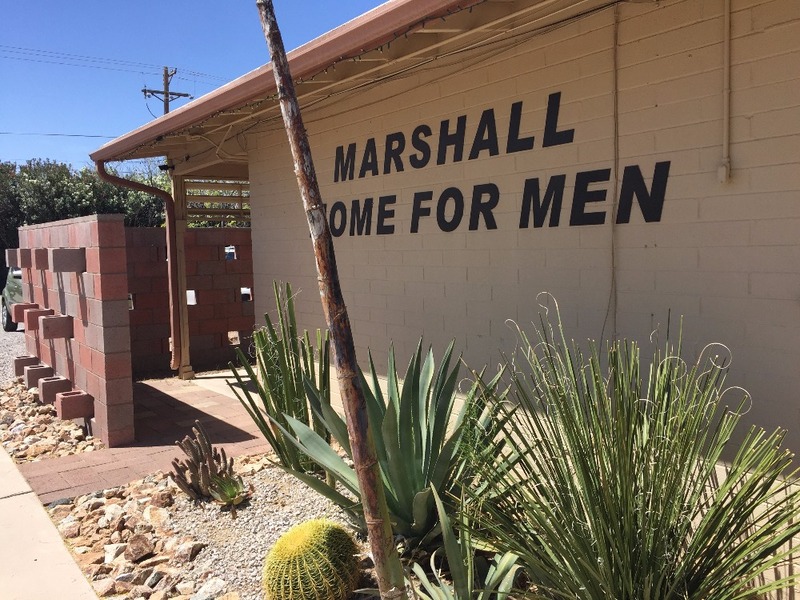 In 1958, the Ryland Ranch was renamed The Marshall Home For Men, Inc. in honor of the Marshall Foundation, which provided the facility with financial support. With their generous help, a residential wing was added to the establishment. With continued financial support from individuals, corporations and foundations, a second residential wing was added in the early 1970s. This second wing made it possible for the Marshall Home to accommodate up to 52 men. The average age of our residents is 65-years-old, and a large number of them are veterans and heroes who served our country in WWII, Korea, Vietnam and the Gulf War. Many of these brave men have been awarded with the highest military honors, including Silver Stars, Bronze Stars, Navy Crosses and Purple Hearts. While some choose to stay only a short time, most of our residents live here for several years. Some men even choose the Marshall Home to be their long-term home and are here for multiple decades.